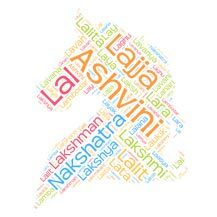 Lakshana is an ancient Sanskrit word. Reference of Lakshana is found in several places. According to Harivansh Lakshana means aiming at. Lakshana also refers to a particular aim or goal. Lakshana also means an object or view from a particular place. According to Sahitya Darpan and Kavya Prakash Lakshana is described as indication, elliptical expression, use of a word for another word with a cognate meaning and indirect or figurative sense of a word. Lakshana was a name of an apsaras (अप्सरस्), as per mentioned in Mahabharata. Lakshana is not a popular name in USA. Lakshana is also not a popular name in India. Lakshana is used by only few people as the name of their children in India. 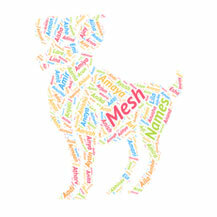 In our opinion Lakshana is a sweet and stylish, but difficult to pronounce name. Lakshana also has mythological significance. Lakshana is an Indian actress in Malayalam movies. Ancient Sanskrit word Priyadarshi (Sanskrit प्रियदर्शि) lite..
Sanskrit boy name Malya (माल्य) literally means garland and ..
Anusha (Sanskrit) An Indian name meaning "beautiful morning".. In Sanskrit Ahina means excellent, whole, not defective or i..
Sauri - The Goddess Who is the Power of Sun , wife of the Su.. In Sanskrit Priyata literally means love. Priyata also means..
Simha (Sanskrit सिंह) is ancient word of Sanskrit language w..